Mount Snow is located in West Dover, Vermont, in the beautiful Green Mountain National Forest. The skiing is spread out over four main areas, known as Main Mountain, North Face, Carinthia and Sunbrook. The mountain summit is a whopping 3600ft, providing 589 skiable acres. There are also plenty of activities to keep your students entertained after a long day on the slopes, including snow-tubing, snow-shoeing and sleigh rides. As well as this, there is plenty of evening entertainment, such as cinema, bowling, swimming, trips to shopping mall outlets, discos and karaoke evenings. Mount Snow is home to 80 ski trails, which are served by 20 lifts; 14% of the runs are novice, 73% intermediate and 13% are advanced. This resort is particularly well suited to beginners with a 2 mile green run which goes from the top of the mountain all the way down to the resort. In addition to this, there is a separate ski area with its own lifts, which has been specially designed for beginners. Intermediate and advanced skiers/boarders are also well catered for, the Carinthia area boasts a variety of more difficult pistes and terrain parks, as well as a 460ft long, 18ft high competition super pipe. 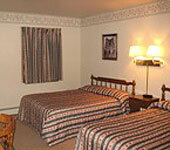 The Big Bear’s Lodge in the Mount Snow ski resort has 24 guestrooms and brilliant amenities. The rooms come in a range of shapes and sizes, but all with private bathroom facilities, cable television and an alarm clock/radio. 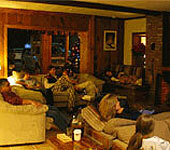 The lodge offers a lovely, quiet lounge, which is a great place to enjoy a selection of books, magazines and games. The TV lounge has comfortable sofas and a large screen TV, making it the perfect place to relax in front of the log fire. There is a BYOB bar lounge that has an ice-machine, a refrigerator and a microwave for the guests. The large dining room can seat up to 60 people and it is here where guests will enjoy their breakfast and evening meals. 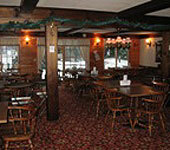 The Big Bear’s Lodge has a games room with a pool table, foosball, pinball, video games and a jukebox. Guests can relax in the hot tub or the outdoor heated swimming pool. There is also a children’s play area and tree house. 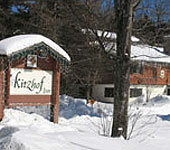 The Kitzhof Inn in the Mount Snow resort has 24 comfortable guestrooms. 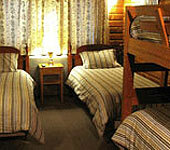 The rooms come in different sizes, with a choice of queen-size bedrooms, doubles, or family suites. 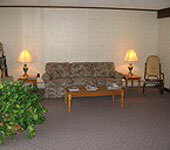 All of the rooms are have a private bathroom and cable television. The inn benefits from several lounges, so guests can enjoy a quiet reading corner in the lobby or the main lounge, which is furnished with comfortable couches surrounding a fireplace, as well as a big-screen TV. There is a games room that has arcade-style games, chess, cards and a mini pool table. 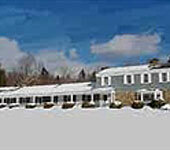 WiFi access is free throughout the inn and the free Moover bus stops just outside. The inn also has an outdoor swimming pool (summer months only) and a hot tub. Breakfast is provided for guests in the Swiss-style dining room. MHCA is a not-for-profit charitable arts organization founded in 1997 with a mission to engage the community in the arts. bowling, miniature golf, redemption arcade, and restaurant. Candlepin 6 lane Bowling, Covered Miniature Golf, Redemption Arcade, and Restaurant. Mount Snow’s tubing hill has up to eight lanes of all thrills, no skills fun for the whole family. Whether you choose to spend your day tubing instead of skiing or make it your choice après-ski activity, you’re sure to have a good time. Located right at the base of Mount Snow between the Main Base Lodge and the Grand Summit Resort Hotel, our hill is one of the biggest in Vermont and features its own covered surface lift called "the Magic Carpet." Enjoy a thrilling ride down and then relax as the Magic Carpet whisks you back to the top for another exciting slide! Actual magician doing slight of hand and interaction with the group. Ben and Jerry's ice cream buffet will be set up and usually the groups does both activities at the same time.